Kyle Wilson, Cole Abrahams and JP Kok all starred as Delfos Cricket Club dominated the opening day of the Multiply T20 Community Cup in Pretoria on Friday. 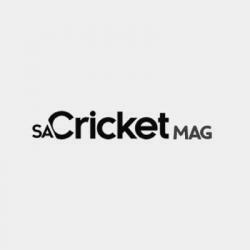 The Central Johannesburg region team were the only side that managed twin wins after beating Burma Lads Cricket Club and Kempton Park Cricket Club. Wilson took six wickets across the matches, first bagging 4/15 as Burma were restricted to 126-6 when the day started out at Sinovich Park. Aubrey Swanepoel (58 off 49 balls) hit a half-century for the Free State opposition, who had lost the toss and were asked to bat first. But the total proved no match for the Delfos, with Abrahams’ 55 off 45 deliveries comfortably leading them to their target with a comfortable 4.3 overs to spare – sealing a seven-wicket bonus-point win. Kok was then the star of their afternoon game after he hit 59 not out in a five-wicket victory over KPCC. Batting first, KPCC amassed a daunting 168-7 when Wesley Coulentianos hit 56, but Kok led a sparkling chase that was concluded in only 17.2 overs. Kempton Park had won their morning game at TUT Oval, though, when they ousted Durbanville Cricket Club by four wickets and with two deliveries to spare. 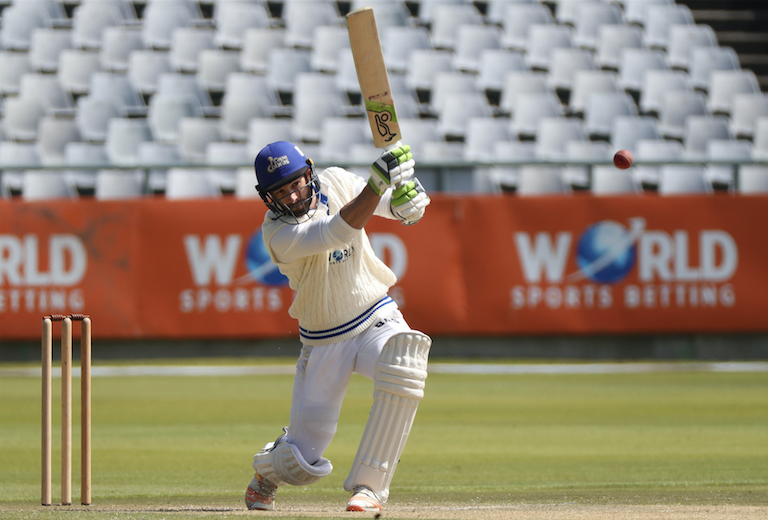 Batting first, the Cape side posted 147-7 with Pieter Malan top-scoring with 36. Bryce Parsons (3/17) and Sarel Myburgh (3/26) were outstanding for KPCC. Neels Bergh then smashed 50 off 34 balls to guide his side over the line. Durbanville did, however, win their afternoon fixture when they thumped Clares Cricket Club by eight wickets. The KwaZulu-Natal side batted first and posted a solid 164-4, but a brilliant and unbeaten 68 off 39 balls by Malan was enough to flatten their opponents with 11 deliveries to spare. Clares did manage a good win of their own earlier on in the day when they cruised past Old Selbornian Cricket Club by eight wickets at the Mandela Oval. The two key men for the winners in that match were first Salman Yacoob after his 3/19 inspired his side to restrict their opponents to 122-7. 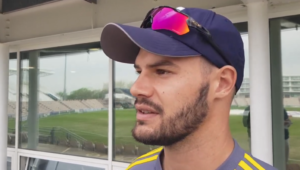 Then Cody Chetty smashed what turned out to be the highest score of the day – 88 off 48 balls – to take Clares to a bonus-point victory with more than five overs to go. Finally, the most thrilling match of the day was between Burma Lads and Old Selbornians, as the clash at Mandela Oval ended in a thrilling tie. After winning the toss and bowling, the Free State side restricted OSCC to 127-9, thanks to Jonathan Malan’s 2/11. Burma managed 127/8 in reply, but failed to win despite Russel Pitchers (28), Emile Dreyer (28) and Avuyile Mnci (26) all getting good starts. Royce Muller (2/20) was the pick of the bowlers for Old Selbornians.